Get in touch about engagement photos! It truly is a pleasure being a part of a couple's wedding! One thing that I love about being chosen as a wedding photographer is the opportunity to do a couple's engagement photos, as well! This gives me a chance to get to know the couple and do a little "practice round" before the big day! I want my couples to be comfortable with me and to trust me to capture their authentic relationship. The first thing to know is that 5 of my 6 wedding packages include a FREE engagement session! Cincinnati engagement photos have such a huge opportunity to be beautiful given the parks and different overlooks we have in our city. 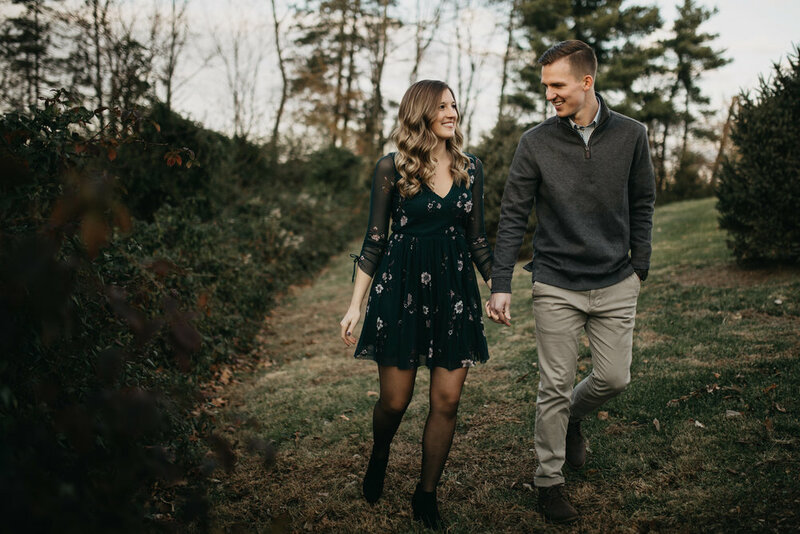 Because of how hilly and rolling the topography is in Cincinnati, there are plenty of parks in our city where we can create stunning engagement photos! 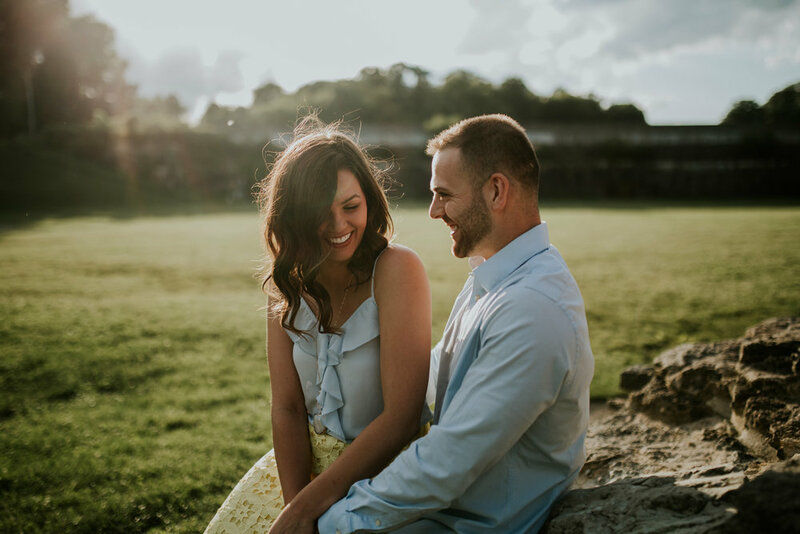 Some favorite parks for engagement photos are: Alms Park, Bellevue Hill Park, Eden Park, Devou Park (in Northern Kentucky), Mount Echo Park, George Rogers Clark Park (Covington, Kentucky), Smale Park, and a few more that provide great photos of the city and/or river. 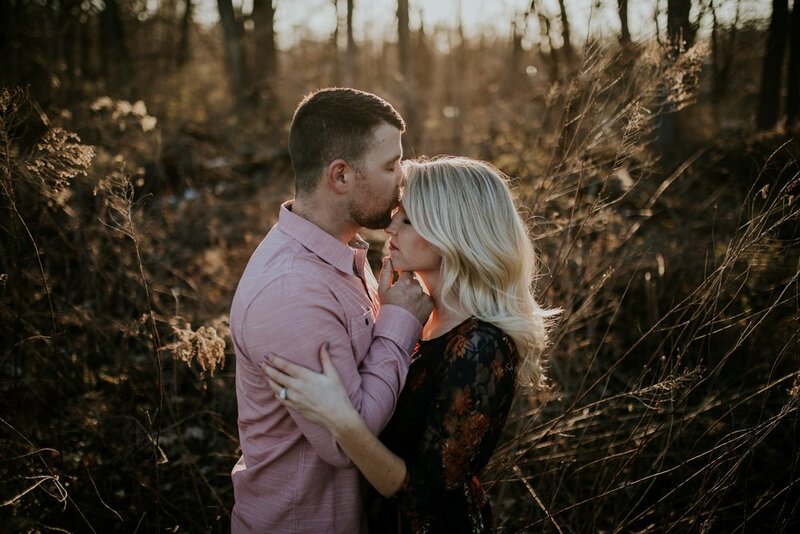 Other beautiful parks that I like to use for engagement photos are: French Park, Sharon Woods, Miami Whitewater Forest, Washington Park (across from Music Hall), Ault Park, Spring Grove Cemetery, Mount Storm Park, Glenwood Gardens, Cincinnati Nature Center, Mount Airy Forest, Piatt Park, and Pioneer Park. When it comes to engagement photos, I like to separate myself from the rest of the pack. I purposely plan around the best time of day for lighting --aiming for that golden hour. I love to use that golden light to create romantic, breath-taking photos. My engagement photo packages are complimentary and included with the booking of my wedding services for packages #2-#6! It is a great opportunity for me to get to know you and your soon-to-be spouse, and have a relaxing engagement photo session with light music in the background, and a little paparazzi following you around for an hour. My typical engagement photo sessions result with about 100-125 photos delivered between 2-4 weeks from when we have our session together. I typically post a preview on my facebook page within a day or so of the session so that you can see a little sneak peek of our time together! The other thing that I like to go over with prospective clients, even before engagement photos, is exactly what YOU want. I am here to serve you and your fiance/fiancee. If you have a pose that you wanted to try or a mood that you wanted to create, please let me know! I want you to be happy with your photos! I can certainly make recommendations, as I have for many others, but if you have engagement photo poses or styles, please let me know! 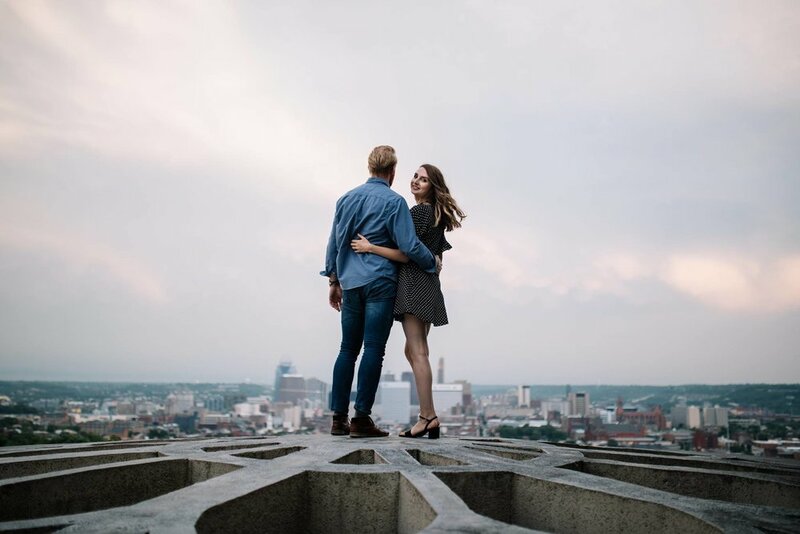 Cincinnati engagement photos are the appetizers to amazing Cincinnati wedding photos! Get in touch with me today!